The recent upswing in the condominium market in Sri Lanka (inclusive of all three types of condominiums, irrespective of their status quo – super-luxury, luxury, and semi-luxury) signals important developments for the construction industry. According to the certifications issued by the Condominium Management Authority (CMA), the absolute rate of growth of condominiums during the past decade is 34%, while it has increased by an unprecedented 64% in 2017 alone, compared to 2016. Condominiums are now a popular solution to the growing housing demand in Sri Lanka, owing to land scarcity, high land prices, and high population density in urban areas. However, environmental concerns are being largely ignored in these developments. Although condominiums provide solutions to land scarcity, they can lead to other negative environmental impacts, if eco-friendly practices are not adopted. Thus, given their increasing popularity, Sri Lanka should pay attention to the environmental concerns that are an inevitable side effect of the condominium boom, and take appropriate measures. Environmental impacts can vary across different types of condominiums depending on market segmentation (super-luxury, luxury, etc.). However, there is next to no research-based evidence so far on the environmental implications of condominiums in Sri Lanka. The CMA data reveal that over 92% of condominiums have been built in the Western Province alone during 2007-2017. Colombo, being Sri Lanka’s commercial capital, has already become the prime choice for these developments, with the highest number of condominiums already built, and many more in the pipelines. 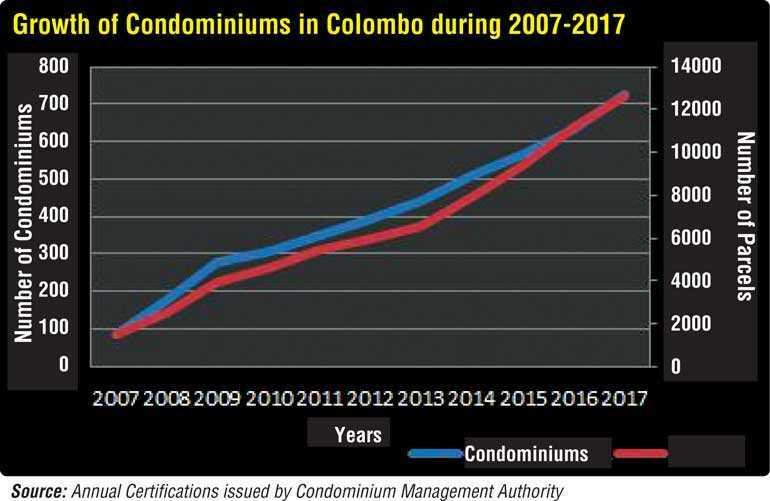 The CMA data also show that there is an upward trend in both the number of condominiums and parcels (housing units) in Colombo. The total number of condominiums built in Colombo during the past decade is 727, and constitutes a total of 12,643 parcels, making it obvious that condominiums are fast becoming a popular housing choice in Colombo. Discussions with officials at the Central Environmental Authority (CEA) suggest that there is an alarming increase in the number of complaints by neighbours against the residents of condominiums for environmental malpractices; these include sound pollution, insufficient space to dispose garbage, improper mechanisms of waste disposal, and using drinking water to wash vehicles. Therefore, Sri Lanka should pay attention to adopting good environmental management practices in condominiums. 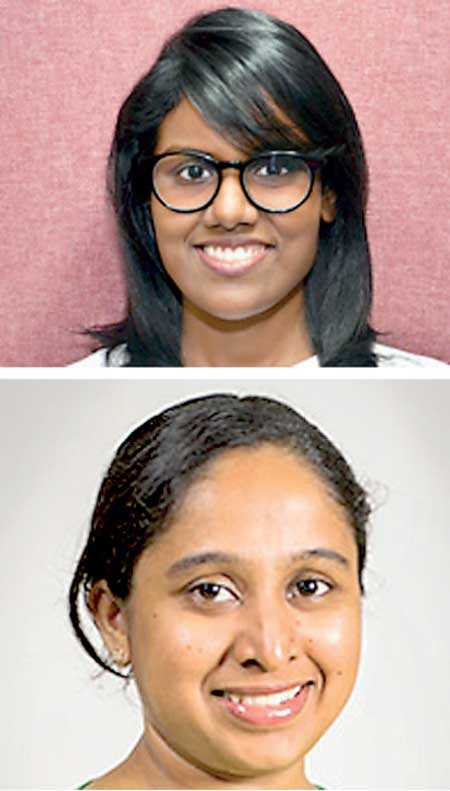 Waste management is of particular relevance to residents living in condominiums as it is a growing concern in urban areas, especially in the Colombo district. As there is no land space to dispose solid waste in the case of condominiums, it is vital to have effective mechanisms in place to collect and dispose waste. Retrofitting of waste storage areas and lack of cooperation by residents in condominiums for effective waste management are common issues. Similarly, waste water has to be either disposed to sewage systems or there needs to be dedicated onsite disposal facilities. Sewage, waste water, and solid waste management are key technical issues, especially in condominiums built for low income households in Sri Lanka. If appropriate measures are not taken, the condominium boom will worsen the waste management problem Sri Lanka is currently facing. Structural measures at the building design stage are needed to ensure efficient energy and water usage by the residents. Unfortunately, there is next to no information in Sri Lanka about these aspects. However, there are enough examples of condominiums using resources efficiently in other countries. The world’s first sustainable condominium, unveiled by the GLOBE Foundation in Canada, features an environmentally-friendly design, with energy saving appliances and building strategies such as utilising renewable, recyclable, durable, and non-toxic materials made from local sources. Meanwhile, initiatives such as the installation of water saving devices in the common area toilets, rainwater harvesting, and creating awareness among residents about the importance of saving water have helped the N-Park Condominium in Penang, Malaysia reduce its overall water consumption by 30%. In Sri Lanka, condominium approvals are given by many Government bodies. There are several aspects that the CEA takes into account when approving condominium projects. These include reducing water pollution, forming proper sewage plants, eliminating sound pollution, having proper septic tank arrangements, sump locations, central A/C systems, central gas systems, and properly discarding rain water. However, in Sri Lanka, there are no proactive measures or proper monitoring mechanisms to inspect if these aspects are in place. It is vital that the approval process has a clear vision for at least 30 years ahead, as condominiums are likely to play a pivotal role in framing living conditions at present and in the future. A senior official at the CEA stated that “to preserve valuable land, we must have condominiums, but with proper infrastructure”. The official also emphasised that “the most problematic element in condominiums is the lack of a monitoring process”. Environmentally-conscious real estate developments bring considerable benefits, by using resources more efficiently and saving costs. Evidence shows that sustainable environmental approaches have reduced water and energy usage and have encouraged proper management of solid waste and waste water. Thus, it provides economic incentives for both real estate developers and residents to build and live in condominiums which adopt good environmental practices. The ‘green label’ can also be used as a marketing tool by the sellers. Green condominiums contribute to lower carbon emissions through reduced energy consumption. It is, therefore, timely to introduce a ‘Green Certificate’ system to condominiums that need to be renewed periodically to make sure environmentally-friendly measures are being practiced in condominiums. While this can serve as an important marketing tool, it also encourages cost savings. Furthermore, a green rating system can be introduced based on condominiums’ environment friendliness. Having such a system will encourage the buyers to seek environmentally-friendly condominiums, which will lead to smart and sustainable living in future. A holistic and a futuristic approach should be maintained when building condominiums. Environmental considerations should be integrated into the approval process for the ‘design’ of the condominiums. And awareness creation should be an integral component of this.